"Chairs, Bicycles and a Little Forest"
The latest four models and three prototypes of our 1:16 series were exhibited at tokyobike Milano, from 14 to 19 April 2015. A part of fuoriSalone during the Salone del Mobile, Milano. In this exhibition, chairs and interior models are displayed on a time-line, which is surrounded by the history of bicycle development. 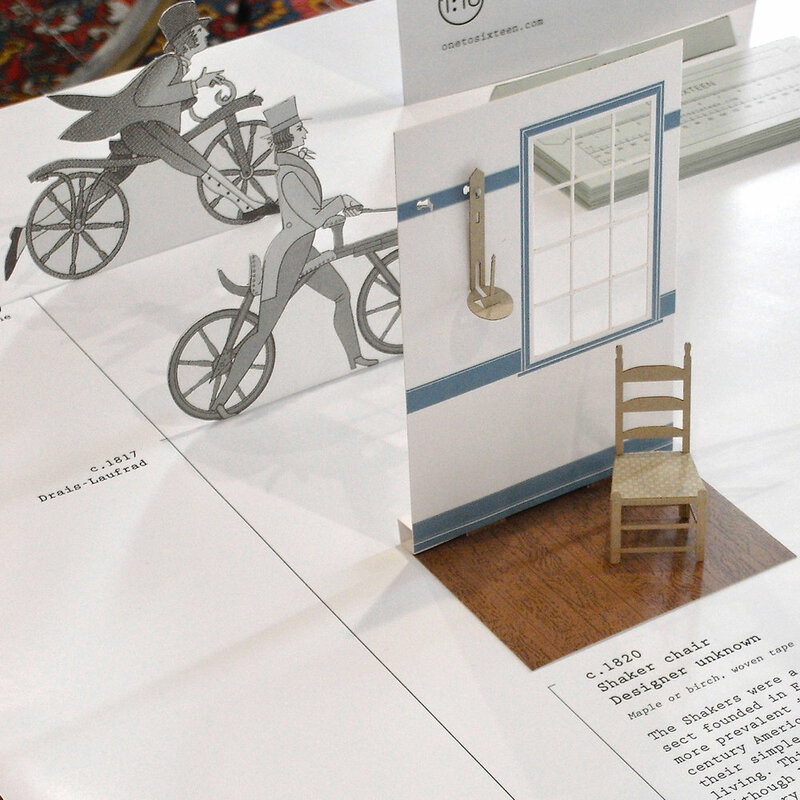 A brief 200 years history of the interior and bicycle design. When the Shaker chair was designed and made in 1820s, people did not have bicycles yet - but a device called a 'Hobby Horse' was already in limited use. The Hobby Horse had two wooden wheels and no pedals, the rider kicked the ground and rolled on the wheels.